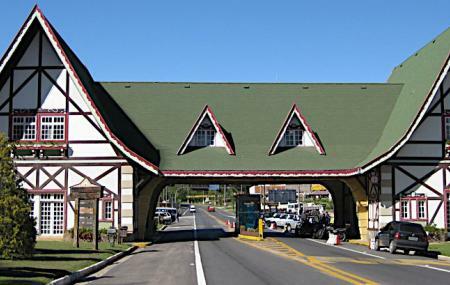 The enchanting mountain city Campos do Jordao’s charm is evident at its entrance. The portico is a colourful half-timbered building reminiscent of European architecture, a style that you can see throughout the rest of the city. Other than that, the entrance doesn’t seem to be particularly special. It’s a bit of a mystery why visitors are so uniformly enchanted by it. Perhaps because the gates represent something of a promise of the delights of the city? Some have said that passing through the gates definitely gives a sense of leaving behind the world as you know it, and entering somewhere… different. At any rate, do get off and take the obligatory photographs. Love this? Explore the entire list of places to visit in Campos Do Jordao before you plan your trip. Fancy a good night's sleep after a tiring day? Check out where to stay in Campos Do Jordao and book an accommodation of your choice. How popular is Portico Da Cidade? People normally club together Morro Do Elefante and Ducha De Prata while planning their visit to Portico Da Cidade.